Note: We've detected that Auslogics Registry Cleaner's installer might attempt to bundle third-party software. Our team has compiled a list of clean alternatives you can try instead. You can still download Auslogics Registry Cleaner but we suggest to proceed with caution and select the "Custom" installation option to identify any potential unwanted software. 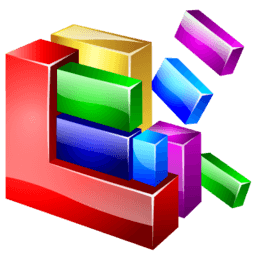 Windows registry is a database that stores crucial settings and options of the Microsoft Windows operating system. Registry entries are created for each application and driver installed on your computer. When running, programs may access the registry thousands of times per second. Just like any other database, the registry becomes a real mess without proper maintenance. When you uninstall programs, invalid entries can be left behind and cause various conflicts between 3-rd party applications and the operating system. As a result, your system may become unstable. Auslogics is proud to offer one of the most stable and reliable registry cleaners available on the market. It will repair all errors in your Windows registry and clean it up from obsolete entries. With Auslogics Registry Cleaner you can avoid system crashes and make your Windows running more stably.